When we went to New Zealand late last year, we both spent time in the North and South Island. 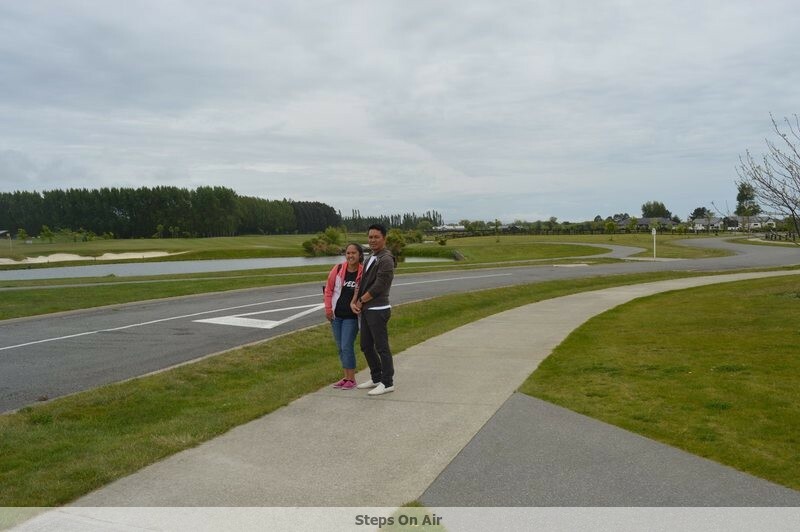 We arrived in Auckland (North Island) and stayed there for a day before proceeding to Hamilton where we spent several days. We then went to Christchurch (South Island) where we also stayed for several days. Our host for our stay in Christchurch was my cousin Jaireh and his family. One of the places they took us to was Pegasus town in North Canterbury which is about 40 minutes away from Christchurch. The plan was to have lunch at the Pegasus Golf and Sports Club, particularly at The Bunker Cafe and Bar. By the way, I wrote a separate post about some of the food we enjoyed in NZ which you can find here. The Pegasus Golf and Sports Club First opened its doors in December 2009 and hosted the New Zealand Women’s Open in 2010, 2011 and 2012. 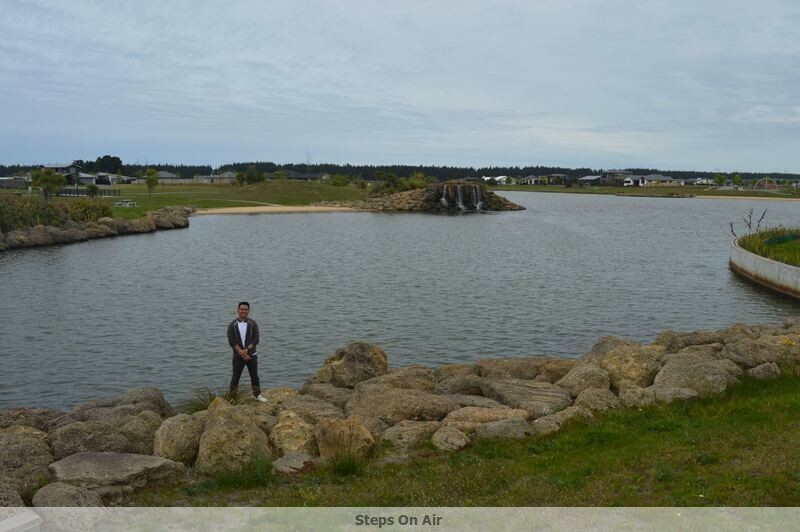 It has an 18-hole championship course. It also has a driving range, practice greens, pro shop, tennis courts and a well-equipped gym. After enjoying our sumptuous brunch, we drove around the area to check out the town. It was all clean and quiet 🙂 But then again the weather back in November was still cold. Summer time paints a totally different scenario where families would be sitting by the lake and kids and adult would be enjoying a swim. As it is, it was just us enjoying the quiet and relaxing beauty of the place that morning. And of course, we tried to capture the memories of that day with photos. If I did not feel so cold that day, we would have more photos 🙂 Let’s just say I am not really used to below 10 degrees Centigrade weather. Here is a video of Pegasus town which I found on YouTube. It tells more about the town, the story behind it. It also shows how the seemingly “deserted” parts of the place we explored are filled with people during the warmer seasons of the year. 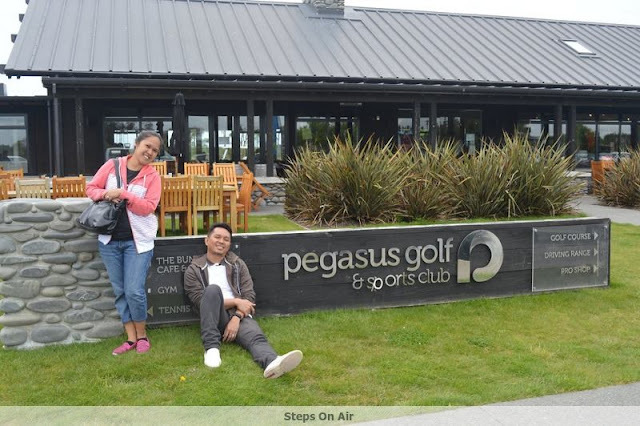 By the way, we were in Pegasus during our anniversary 🙂 We celebrated our 7th wedding anniversary in New Zealand. How cool is that? 🙂 We are truly thankful to God and to our family and friends who encouraged us and helped made our NZ trip a beautiful reality. We flew round trip via Thai Airways from Manila to Bangkok and then Bangkok to Auckland. We booked online and got good fares. 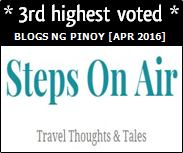 We also got to choose our seats round trip and also the food served to us during the flights when we did the booking. We were picked up in Auckland by our Hamilton host and we traveled by land going to Hamilton. Private land travel from Auckland to Hamilton is about an hour and a half. 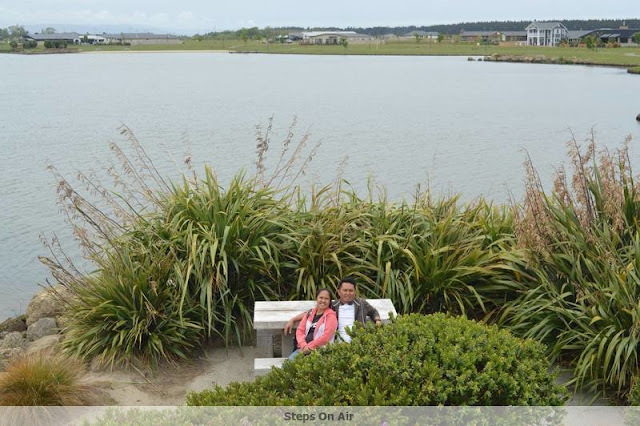 To go to Christchurch, we went back to Auckland and took a flight to Christchurch. We flew via Jet Star. Flight time is about one hour and 45 minutes. Hamilton is located in the North Island of New Zealand while Christchurch is in the South Island. It is advisable to book early to get good fares for domestic flights (the same with that of the international flights).